Some builders screw the templates to the fretboards, but that is unnecessary. I use 2 small pieces of carpet tape, the thicker cloth type instead of the thin plastic type though both will work. 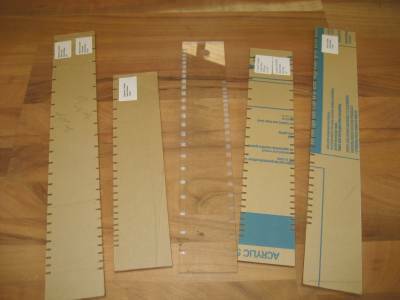 If you are careful not to get dust on the tape, you can cut 6-8 fretboards before having to change the tape pieces. 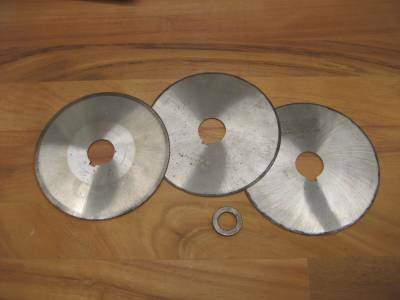 I use 5" jewelers saw blades which are available from industrial supply houses like MSC Industrial. http://www1.mscdirect.com/industrial-equipment.html They have 1" holes and 1" to 5/8" reducer bushings are available at stores like Ace Hardware. You will have to thin the reducers somewhat, depending on the arbor washers on your saw. I also use blade stiffeners, available at Sears or other supply houses. These blades are handy as they come sized by the thousandth. 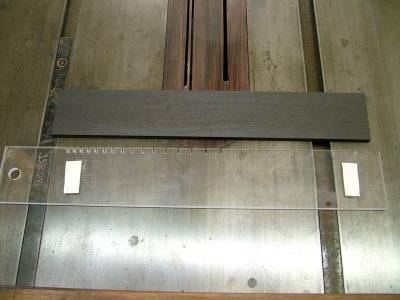 I use .025 blades (MSC stock #03306255 Jewelers Saw Blades 5" with 1" arbor hole), with stiffeners, for most fret wire. Sometimes I use .028 (MSC stock # 03306289) for wider wire in hard woods like ebony. 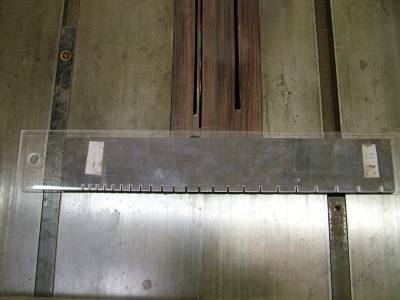 I also use these same blades in .057 (MSC stock #03306578) for making kerfing and I gang them in a group of 5 on my saw arbor. They last a long time if you are careful. You can e-mail me if you need more info.